aGupieWare: Space Station Sunday: Fourth Launch Attempt Is The Charm? Space Station Sunday: Fourth Launch Attempt Is The Charm? So You Think You Can Go To Orbit, round 4. Numerous attempts were made this week to launch the Orbital ATK Cygnus cargo craft to the station. On Thursday, Friday, and then Saturday, several different efforts were made, but all were ultimately scrubbed due to sub-optimal launch conditions. The launch is an important one, with NASA's collaborator Orbital Technologies providing a lift for an array of interesting experiments. 7,000 pounds of science experiments, research material, and other station-critical supplies will be bound for the ISS in the unmanned vehicle, which will be grappled to the ISS by the Canadarm-2 robotic arm. Numerous fascinating and innovative experiments are aboard, including two networking micro-satellites, an investigation into flame-resistant textiles for space use, an experiment dealing with the mixture of gases and liquids in micro-gravity, and even an entire temperature-controlled chamber for use in a variety of other experiments. The launch has been rescheduled for today. Check updates and mission info here! 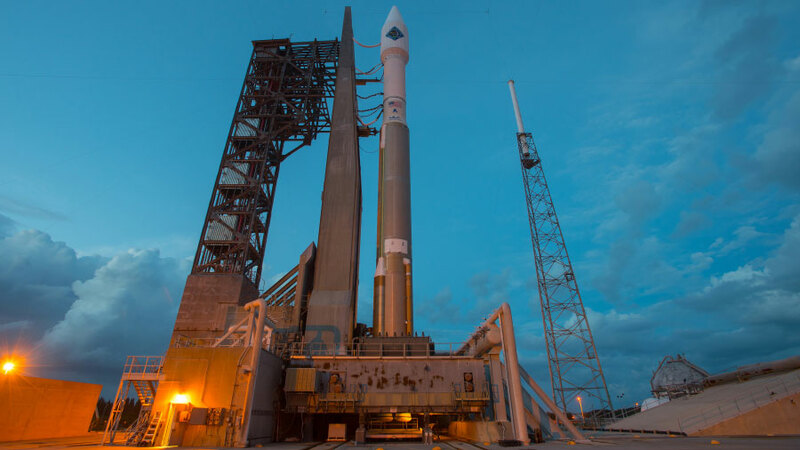 The Cygnus spacecraft and Atlas rocket, standing by for launch. Astronauts Kjell Lindgren and Kimiya Yui participated in various biological experiments this week, working tirelessly in their final days in space. The astronauts, as well as cosmonaut and Soyuz Commander Oleg Kononenko, will return to Earth on December 11th. This will officially conclude the Expedition 45 mission. Astronaut Scott Kelly, still going strong on his One Year Mission, will greet another trio of astronauts on December 15th. Launching out of Baikonur, Kazahkstan in a Soyuz TMA-19M spacecraft, astronauts Tim Peake and Tim Kopra, plus cosmonaut Yuri Malachenko, will take a six-hour ride up to the station. The next round of ISS astronauts pose with their space suits, which clearly have no oxygen flow issues. ...as well as an image of Portugal and Spain so beautiful, it may as well be hanging in a gallery in Madrid. That's all for this week, space fans! See you next week with tales of Cygnus success and more on the new crew of spacefarers. Watch this space! Science takes patience, particularly when explosions are involved.